Few of us want to leave our furry friends at home when we go on vacation—it stresses them out and stresses us out. Having to arrange, trust and pay for pet sitters, or board cats or dogs in a kennel is no fun. It might take a little extra planning and work to take them on a trip, but people do it all the time and their trip is more fun as a result. Most dog owners (78%) have traveled with fido and 19% of cat owners have brought their tiny companion on a trip, according to a survey by ThePointsGuy.com. The number of people traveling with pets is on the rise, up 18% in the last decade, and 81% of travelers reported having only positive experiences vacationing with their animal. Your pet is a member of the family, so it only makes sense to have them join you on your travels. 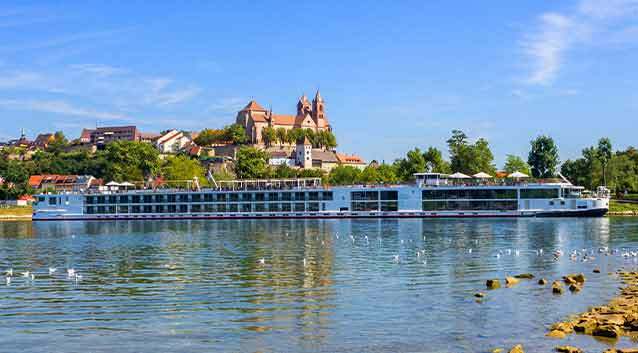 As long as you plan well and follow these tips, your trip should remain enjoyable, and hopefully less stressful. 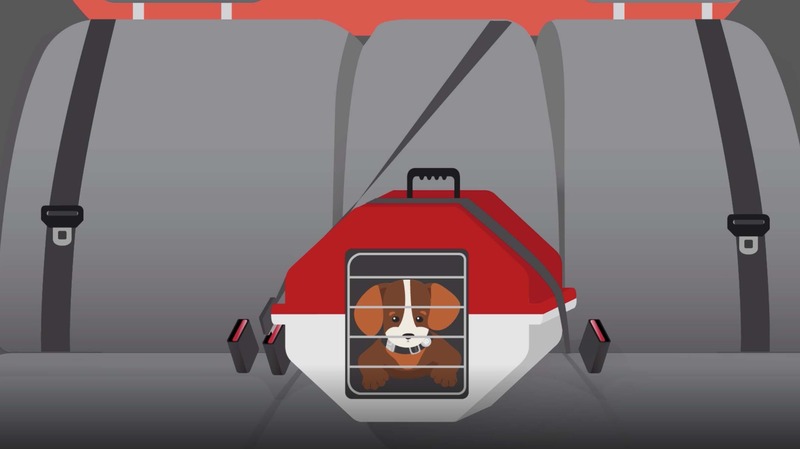 Use a crash-tested pet carrier and ensure that it can be strapped into the backseat. Here are some top rated pet travel carriers for car, train or plane. To ensure your pet is comfortable with car rides, make a few test drives before your trip. Pets should always wear ID tags when traveling. You may want to invest in a pet tracking GPS device, in case they get loose. Make sure your travel checklist includes enough food, water, and medication. Making regular pit stops will help your pet avoid accidents in the car and can help relieve anxiety—yours and theirs! 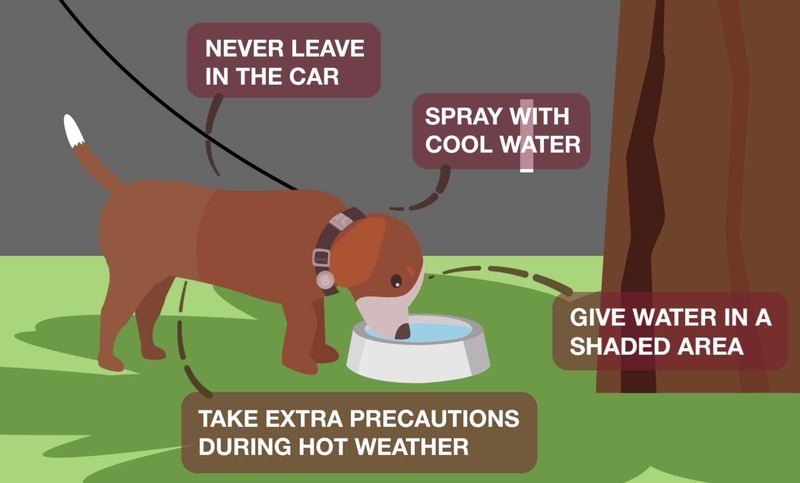 Check for signs of overheating, excessive panting and increased salivation, as these could indicate dehydration or worse. Some airlines may require a health certificate from the vet. Be sure to check your individual airline specifications. If you intend to travel internationally, be sure to contact the embassy or consulate of the destination country as they may have specific travel regulations for pet travel. 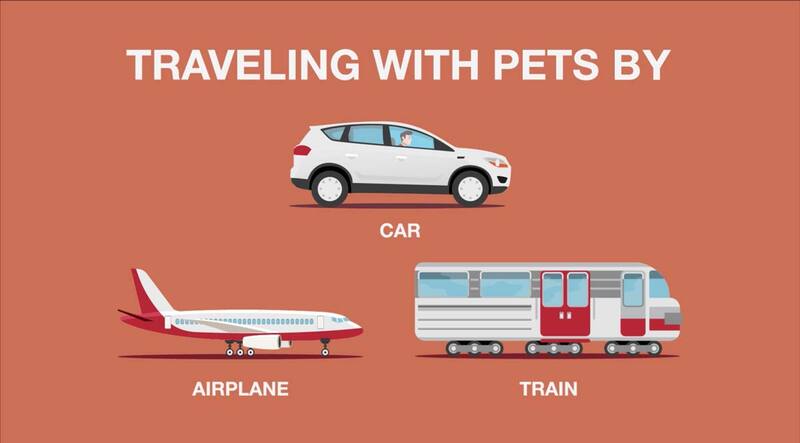 Feed your pet about four hours before traveling. Otherwise, a full stomach could cause nausea. Booking a direct flight can help you avoid the hassle of an anxious pet during connections. When flying with your pet, the less time in transit, the better. If you're shipping large dogs, cats or other animals, or putting them in the cargo hold, use a well-ventilated crate. Small pets can often travel in the cabin if the carrier fits under the seat. 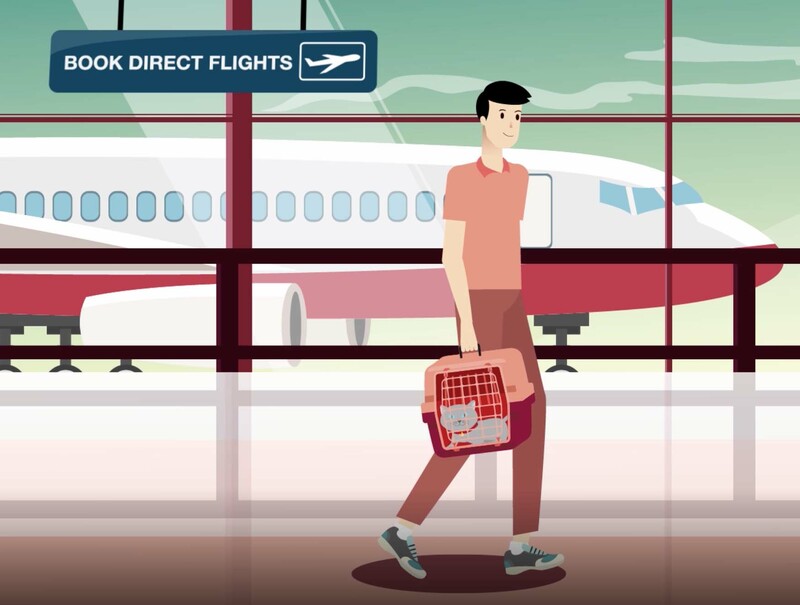 Regulations vary from airline to airline, so check before you fly. 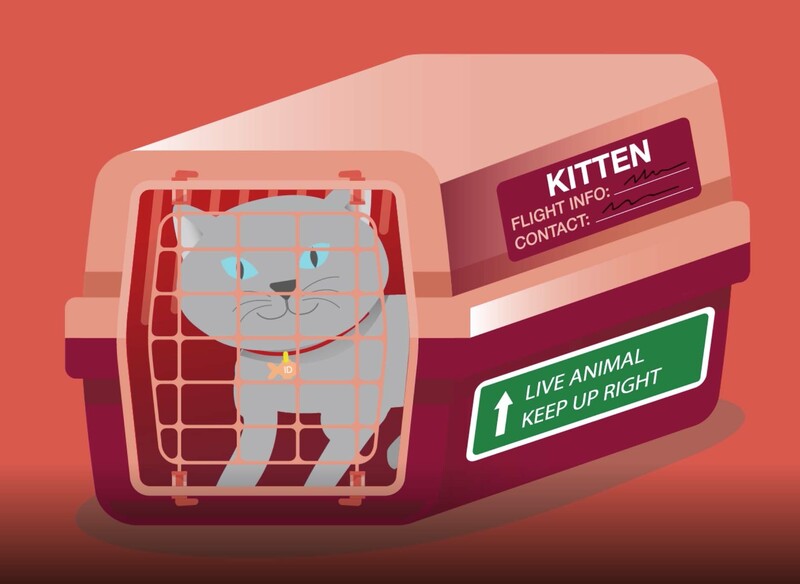 Make sure your pet's tag and its crate or carrier is labeled with your pet's name, flight info and contact details. Airlines have different rules for what pets are allowed to fly, how much their ticket costs and how they can be transported. ThePointsGuy.com has a good summary of the guidelines for major airlines and notes that Delta was rated the best airline for flying with pets. Carry your pet in a tight carrier and make sure you have enough food and water for the duration of the trip. Exercising during stops can help keep Fido from getting restless. Check carrier restrictions before traveling as some train operators may have weight and size restrictions. Carry along some absorbent pads that you can place in your carrier, car or accommodation so any accidents your dog might have won’t stain. Pheromones that mimic smells that soothe your dog, such as Adaptil™, also known as Comfort Zone. Chamomile is known to reduce anxiety in dogs and help them sleep. You can soak a treat in Chamomile tea when traveling. Check with your veterinarian before trying either of these methods. Place a towel or blanket that they’ve laid on already into the car or carrier so their scent is already present. When traveling by car, allow your cat to explore the inside first. Consider taking along a product like Feliway, that helps make cats feel comfortable and secure. Check with your veterinarian first to be sure your cat will react well. Feed your cat in the car and give them nice treats for a week before you leave so they associate good things with the car. Getting a travel insurance plan from Generali Global Assistance gives you access to coverages and services that could help when traveling with pets or service animals. 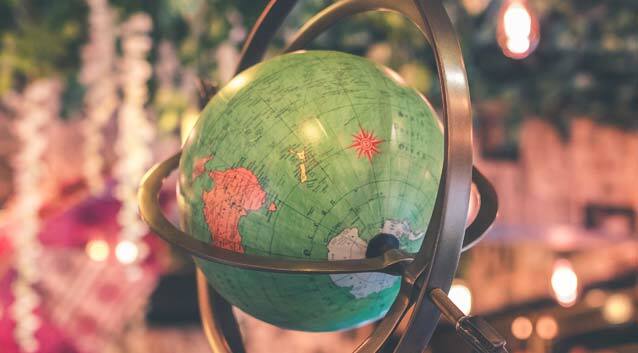 Especially if you're planning a trip around destinations that cater to your dog or cat, consider how a travel insurance plan might help on your trip. Travel Delay coverage: If you experience a delay lasting six or more hours, you can be reimbursed up to the amount listed in the Schedule of Benefits for meals, telephone calls, additional parking charges, and even pet kennel fees. Traveling with a service animal? Our Trip Cancellation and Trip Interruption coverages include service animals in the case of sickness, injury or death. Pet Return service: If you’re on vacation with your pet and you experience a medical emergency, travel assistance services can provide arrangements to return the pet home. Pet services locator: Need help finding pet-related services? Our concierge services can help you find veterinarians and pet sitters while you are away from home. 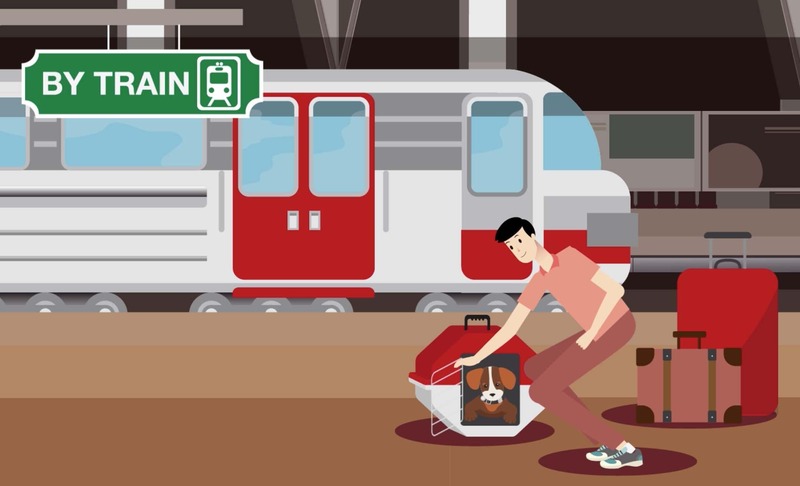 While taking a vacation with your dog or cat can be a challenge, taking the necessary precautions can make travel with your pet more than worth it.